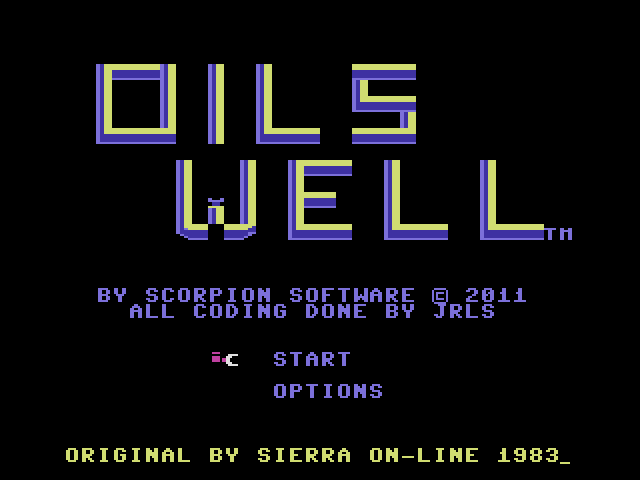 A remake of OILS WELL by Sierra Online 1983, with some added extras! 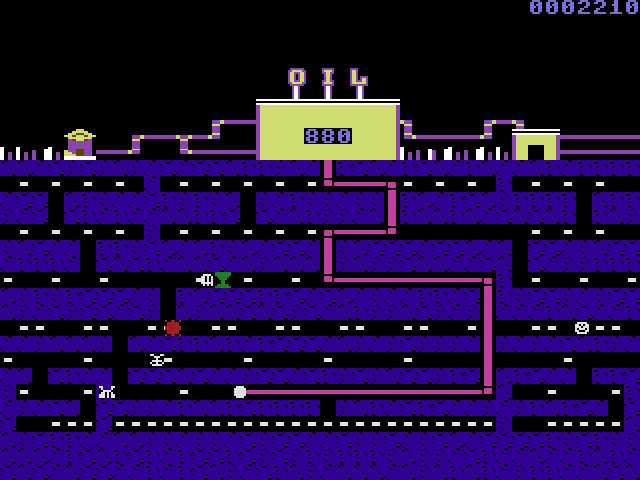 * This version features excellent gameplay: you can move very fast around the corner and has the real arcade feel! 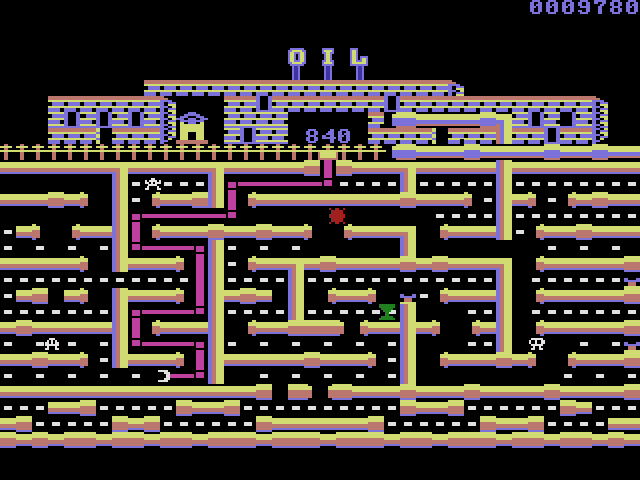 * I added some gameplay extras, like 8 new levels, and new gamemodes! * Also, I added some new enemies: a zapper that will flash through a lane, and a chomp enemy that will chomp new passages! * I also added a custom made highscore screen. Good luck and I hope you like this enhanced version! * Use arrow keys and SPACE to control game. In option screen you can also use ENTER key. * If you running this game under Vista and you're experiencing stuttering gameplay, you need to change some settings on the file. Click here for the settings.